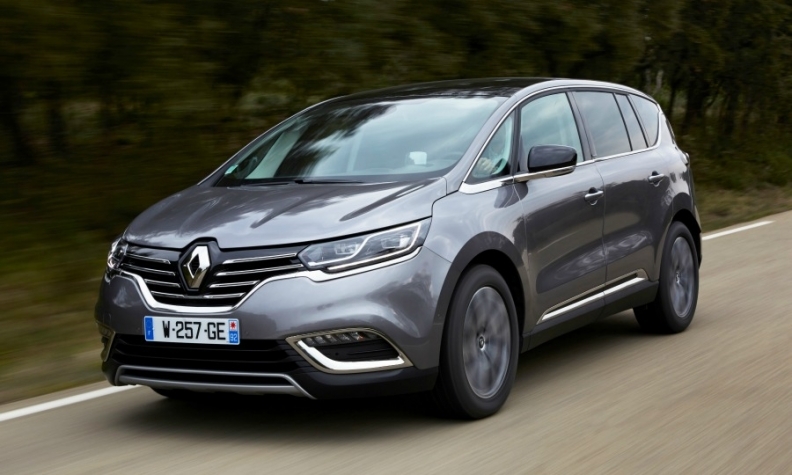 The new Espace, shown, is boosting Renault sales. PARIS -- Renault's revenue rose 11.7 percent in the first quarter on strong European demand. Revenue increased to 10.5 billion euros ($11.86 billion) in January-March from 9.39 billion a year earlier, the company said in a statement on Thursday. Renault attracted buyers in Europe, it main market, with new models such as the latest-generation Espace large minivan while its Kwid mini-SUV has proved a hit in the difficult Indian market. Europe accounted for 63 percent of of Renault's vehicle sales in the quarter. Renault’s worldwide deliveries jumped 7.2 percent to 692,453 in the quarter, helped by a 9.8 percent surge in March in Europe, its main market. That offset a drop in Latin America, where Brazil and Argentina are mired in recessions. In Russia, where the economy is also shrinking, Renault’s sales fell more slowly than at competitors. In a show of confidence in that market, the French company unveiled the Kaptur crossover at the end of March after pledging a month earlier to support struggling local affiliate AvtoVAZ Group. The carmaker reiterated its full-year forecast, saying 2016 revenue will rise (based on constant exchange rates) and operating margin will grow. Renault sold 2.8 million vehicles in 2015, an increase of 3.3 percent, while earnings before interest, taxes and one-time items, which the company terms its operating margin, surged 44 percent to 2.32 billion euros last year, with the return on sales widening to 5.1 percent from 3.9 percent. Renault said it expects global industrywide demand for new vehicles will increase 2 percent in 2016, while the European market increases 5 percent, up from the 2 percent previously forecast. Brazil will decline by 15 percent to 20 percent, instead of the 6 percent drop Renault expected, it said. To win customers, the company plans to roll out 10 new or revamped models in 2016, including a new Koleos midsize SUV, a new Scenic minivan and an upgraded Megane compact, building on introductions last year of the compact Kadjar SUV and the Espace minivan, currently its most expensive model. Renault is ramping up its low-cost offering in Europe and Asia. The French carmaker is investing more than $1 billion in the supplier network supporting its Moroccan plants.